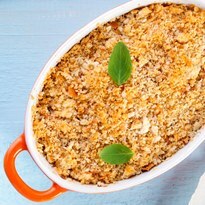 Gratin is a culinary technique where a dish is topped with a browned crust, often made of breadcrumbs. 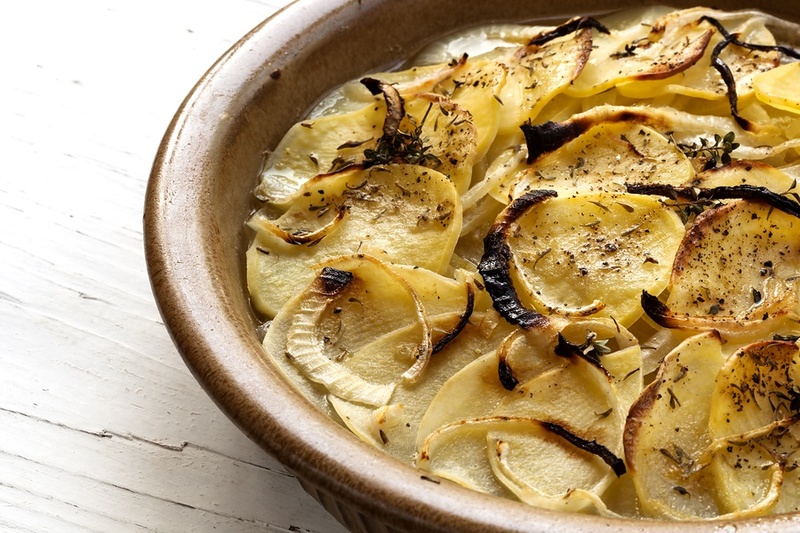 In this holiday-worthy recipe, the topping covers creamy scalloped potatoes. This dairy-free potatoes gratin is actually rather easy to make, but the cook time is a bit long, so be sure to plan ahead. 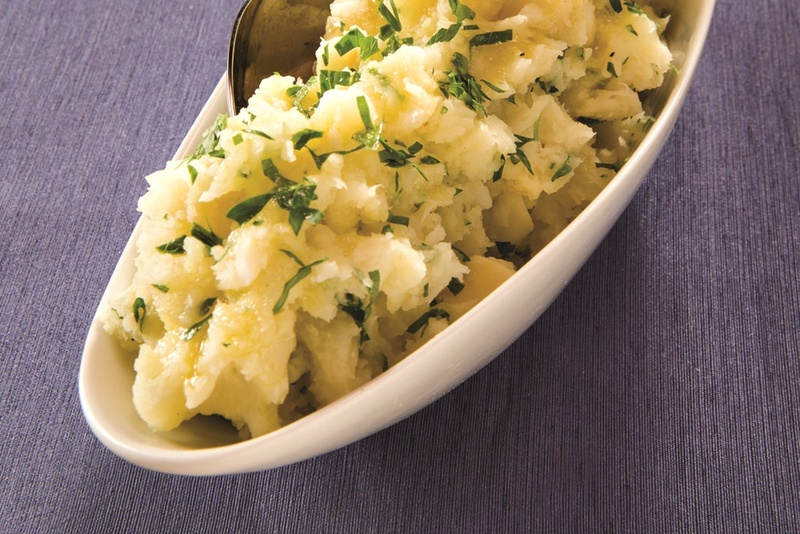 And don’t hesitate to use a food processor or mandoline to make quick work of slicing the potatoes. 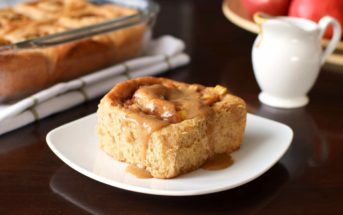 This recipe was originally shared with us by a reader back in 2006, and today we’re giving the recipe and post a big refresh! 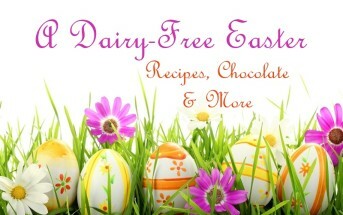 By ingredients, this recipe is dairy-free / non-dairy, egg-free, nut-free, peanut-free, optionally soy-free, optionally vegan, plant-based, and optionally vegetarian. 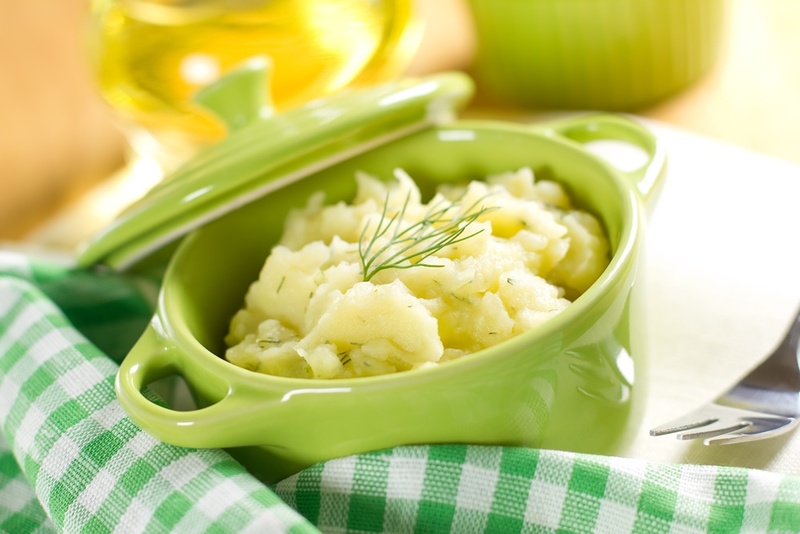 This dairy-free and optionally vegan side dish is perfect for those who enjoy creamy potatoes complimented by a crispy topping. Preheat your oven to 350°F and grease a 9x13-inch baking dish or a smaller dish if you want more coverage with the gratin topping. Place the sliced potatoes in a bowl of cold water. Heat 2 tablespoons buttery spread or olive oil in a medium skillet over low heat. Add the onions and sauté until golden, 10 to 15 minutes. Heat the remaining 2 tablespoons buttery spread or olive oil in a small saucepan over medium heat. Add the flour and whisk for 1 minute, or until lightly golden. Slowly whisk in the broth, stirring constantly, until the sauce is smooth. Once the sauce begins to thicken and bubble, cook it for about 2 minutes, while whisking. Remove the saucepan from the heat, and season with salt and pepper. Drain the potatoes and layer ⅓ of the potatoes in your prepared baking dish, followed by ½ of the onions, and a light sprinkling of sat and pepper. Repeat this process and then top with the final ⅓ of the potatoes. Pour the sauce evenly over the potatoes and cover the baking dish tightly with foil. Bake for 45 minutes. 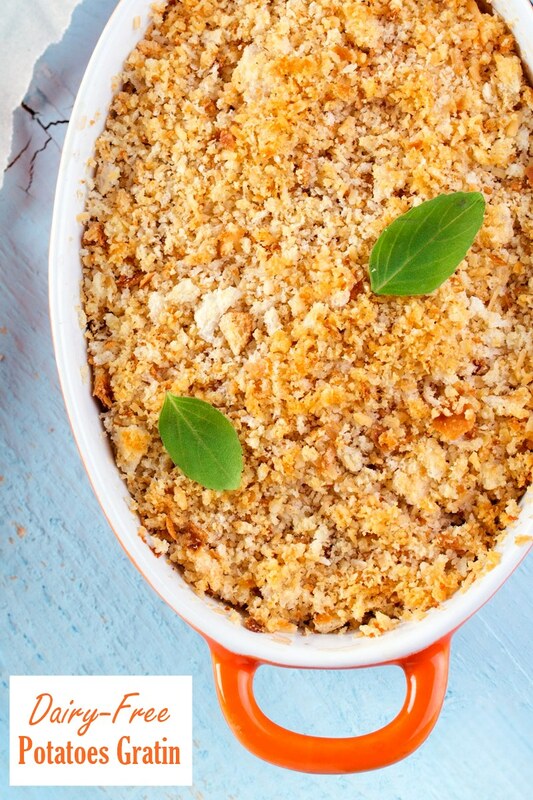 In a medium bowl, whisk together the breadcrumbs and Parmesan alternative. Remove the foil from the potatoes and sprinkle evenly with the bread crumbs. Bake for 45 minutes more, or until the potatoes are tender and the crumbs are crisp and browned.